Set: Unit set. The set should consist of playing areas or levels. The scenes are episodic and move quickly in time and space. Set pieces should be kept to a minimum. The play would do well with projections. Multimedia slides for each scene are suggestions. Juliana, Emma and Nell see Nazis and terrorists around every corner. This is noted as the three sisters gather yet again for the anniversary of their mother’s tragic death on 9/11. What is the make-up of a life? Is it reduced to belongings and haphazard memories? They have basically been sitting Shiva every September 11th terror attacks. Juliana’s grieving tradition has taken a toll on her marriage. Emma who is always quick to please anyone is ready for a change. Things are turned upside down when Nell returns home and no longer wishes to continue the grieving tradition. Giancarlo has died. Anna and Emilia run to Tess’s side to help her through this difficult time. But Tess is amazingly calm. Anna and Emilia are not. Old childhood hurts loom larger than ever. With the help of Italian arias, cannoli and meaty bones, the sisters sort through their life together and work through the threads of "famiglia." 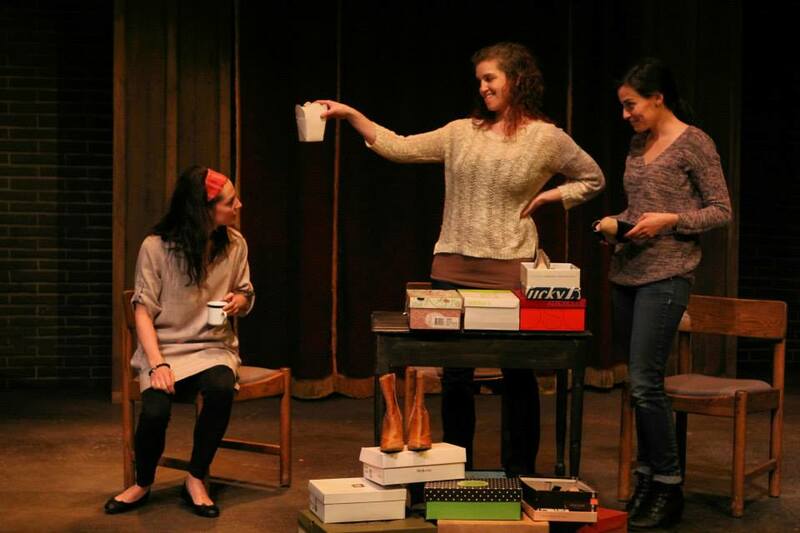 The play was written to address the waste of “fine wine” actresses (over 40) that are too often absent on the stage these days. Miranda dwells in the past. Any past – as long as the world is prior to her father’s death 2 years ago. Reeling from her mother’s remarriage, Miranda spends a week with her great aunt and acquaints herself with an ancestor from her father’s past – the Russian explorer Otto Schmidt. In the confines of Elsie’s apartment, Miranda travels back and forth to the North Pole gleaning information about the nature of the universe, loss and ever-lasting presence. As Miranda visits Otto in the past, Elsie is struggling to maintain the equilibrium she is barely holding to since her sister’s death. Trying to keep her crushing anxiety at bay, Elsie tries to give Miranda remembrance and closure. Turning to the stars, Miranda works at building a way of reaching the past and finding her father.